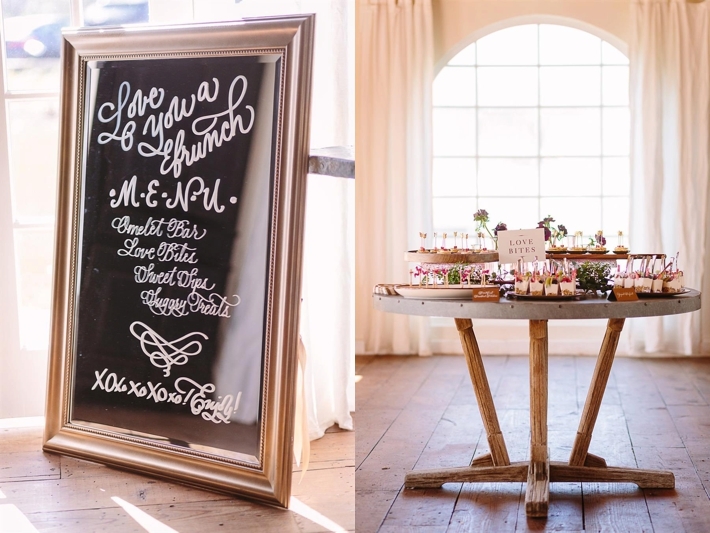 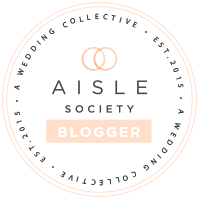 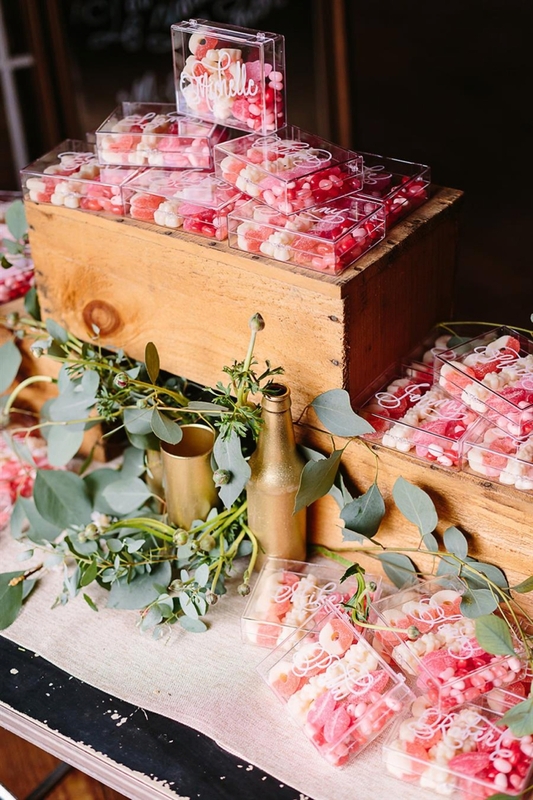 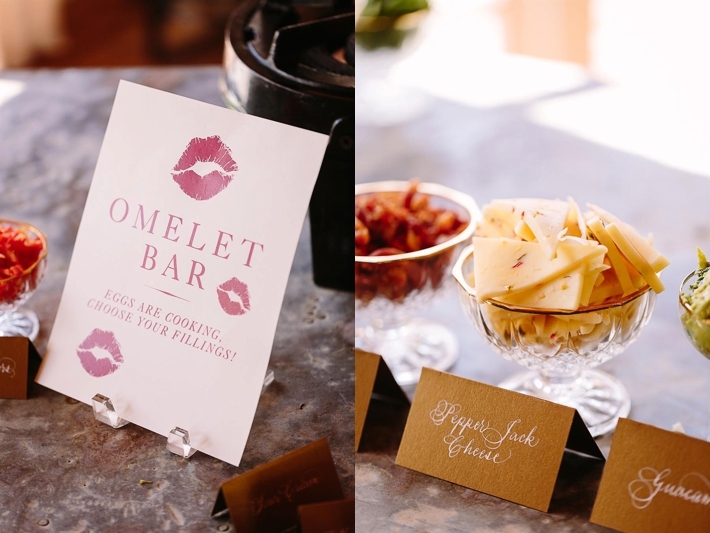 As Valentine's Day falls on a Sunday this year, we couldn't help but plan a stylized engagement brunch that highlights the sweetness of both the holiday and this exciting time in a couple's life. 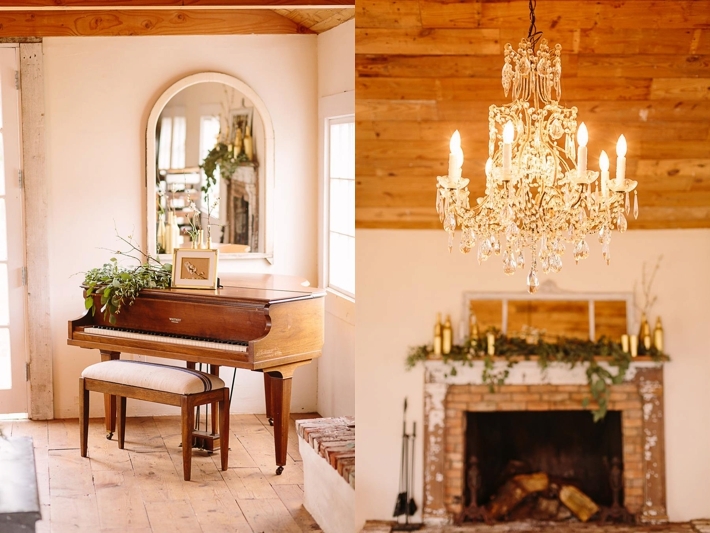 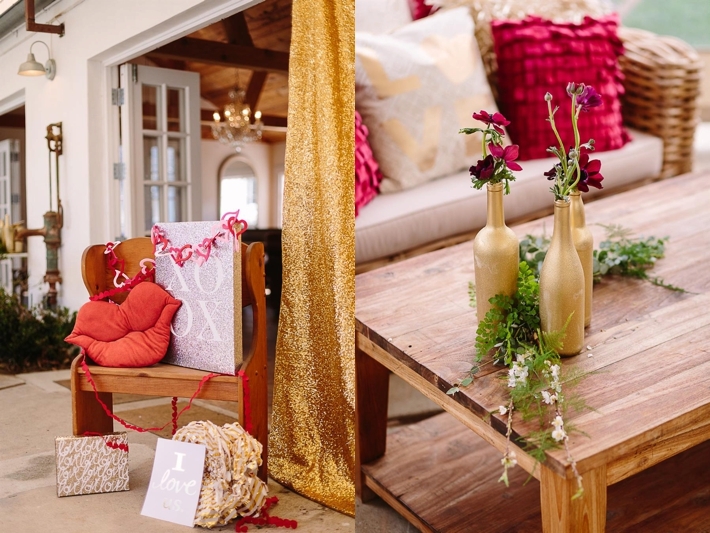 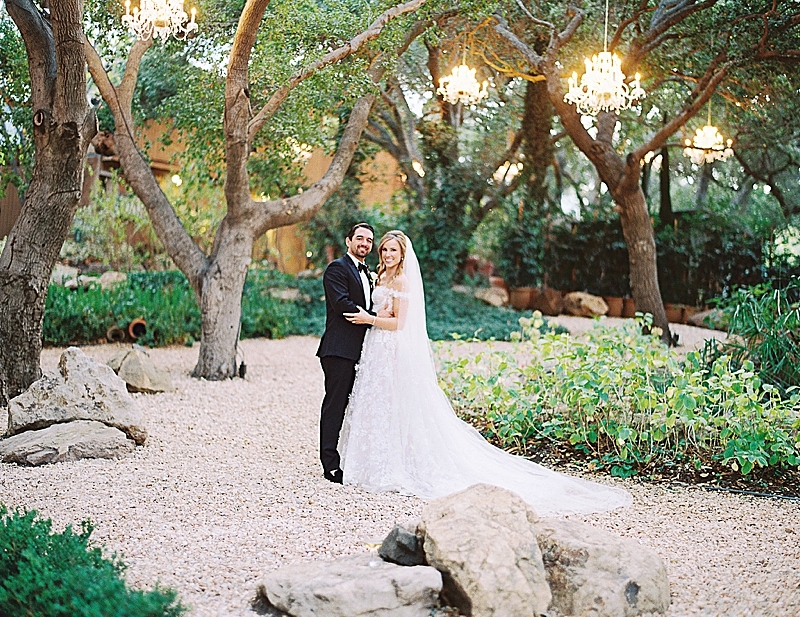 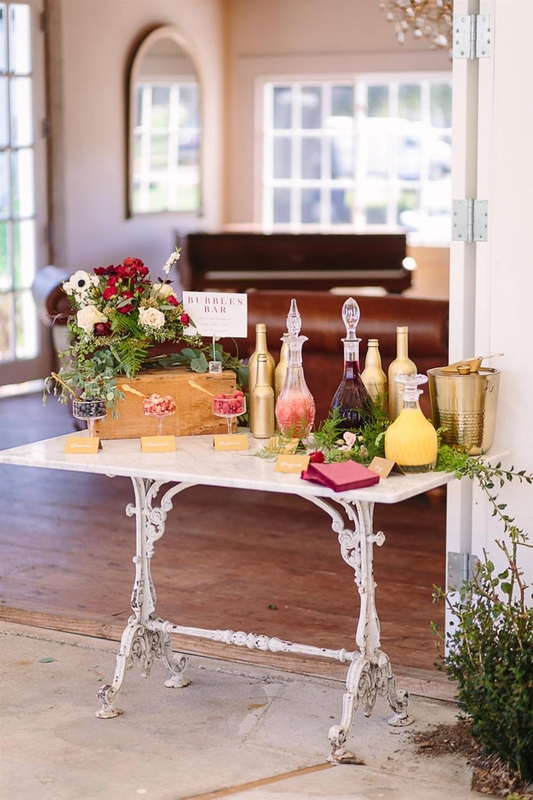 We couldn't imagine a more romantic venue than Triunfo Creek Vineyards. 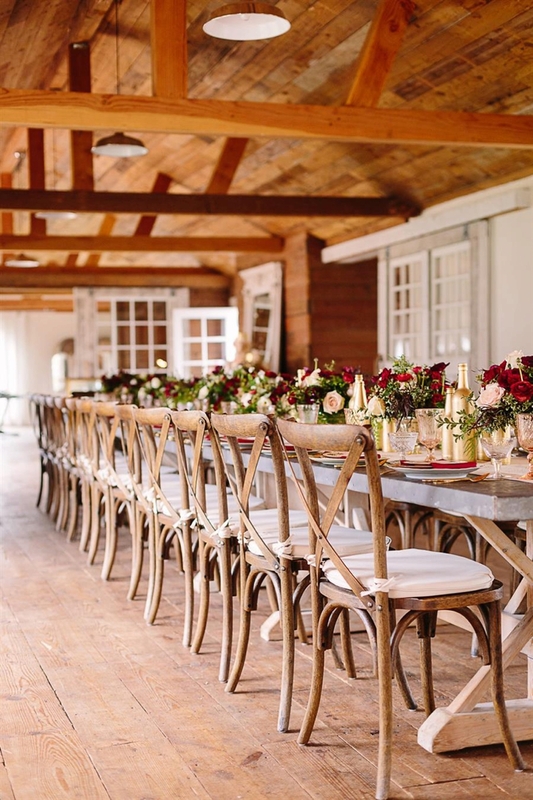 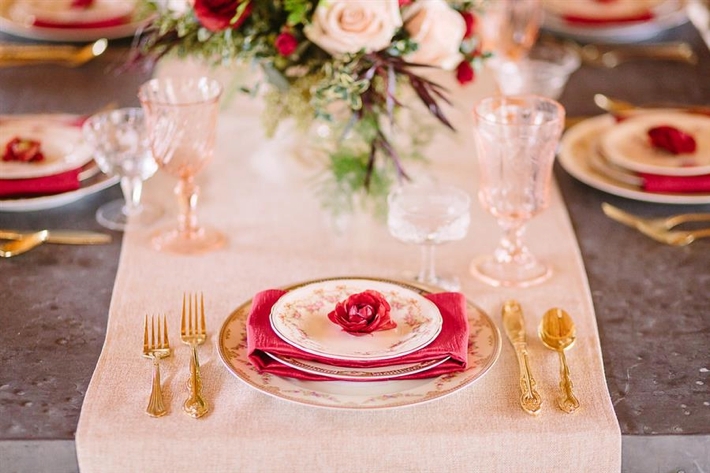 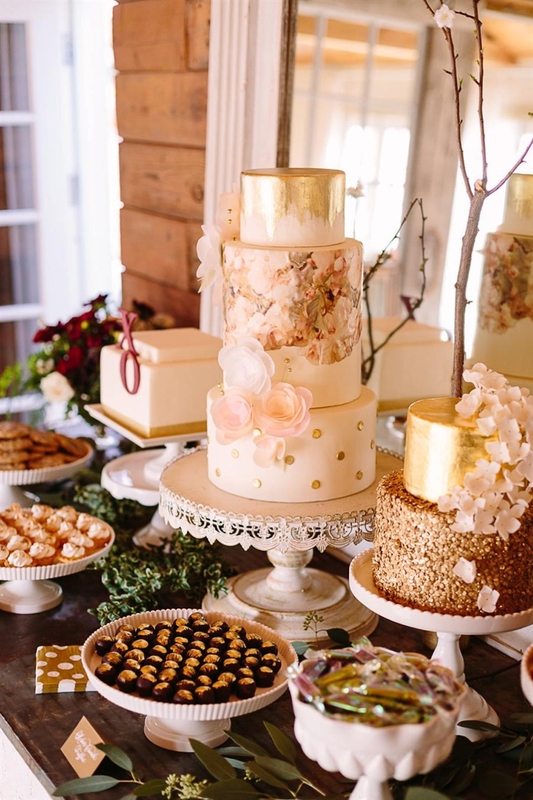 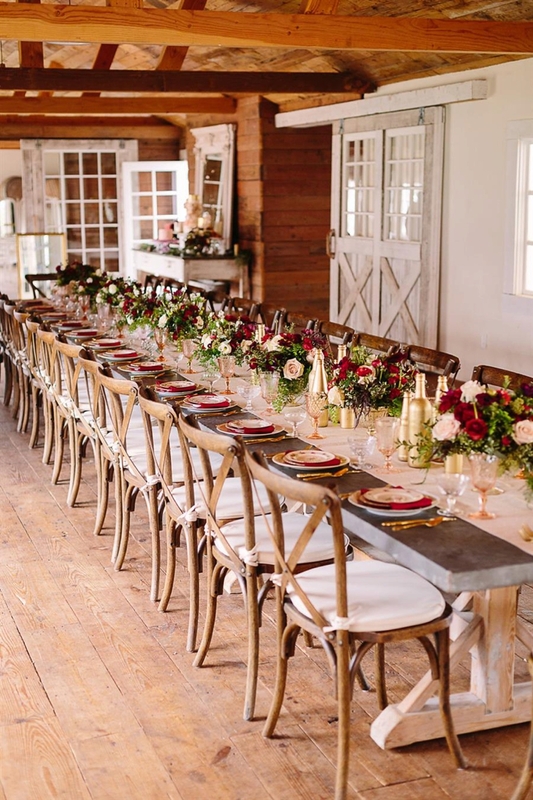 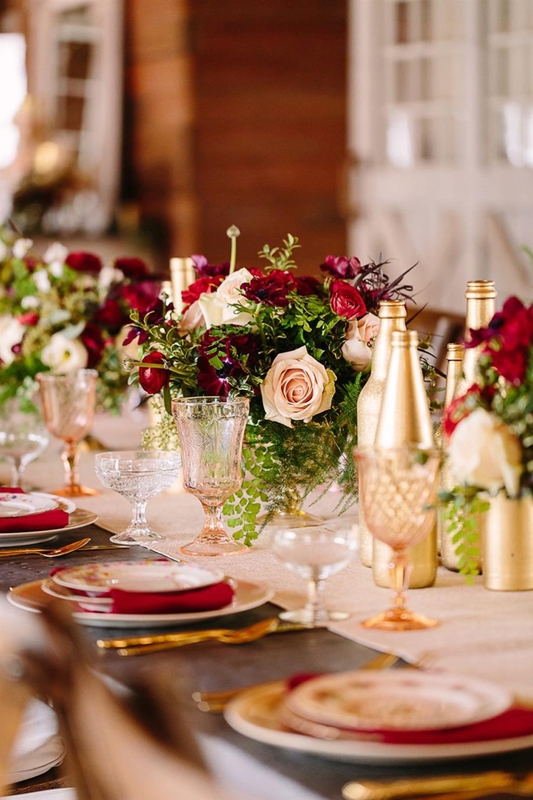 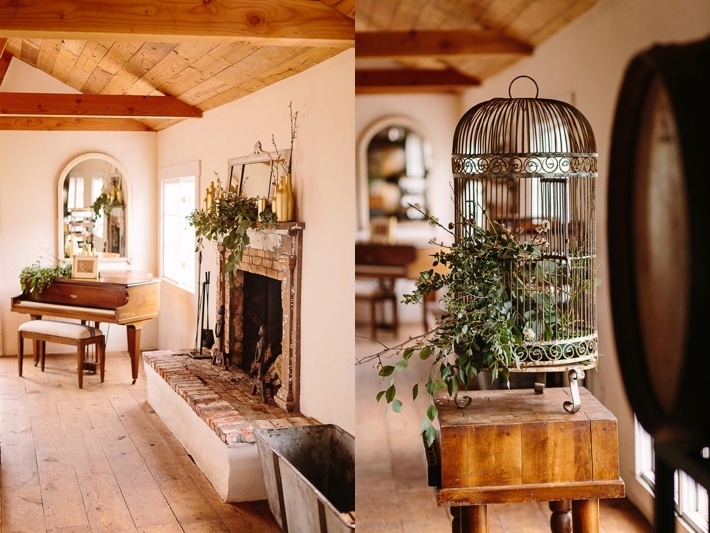 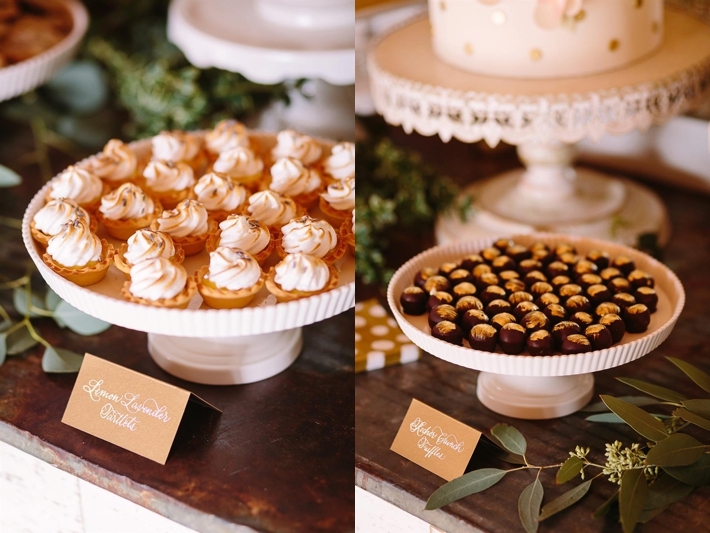 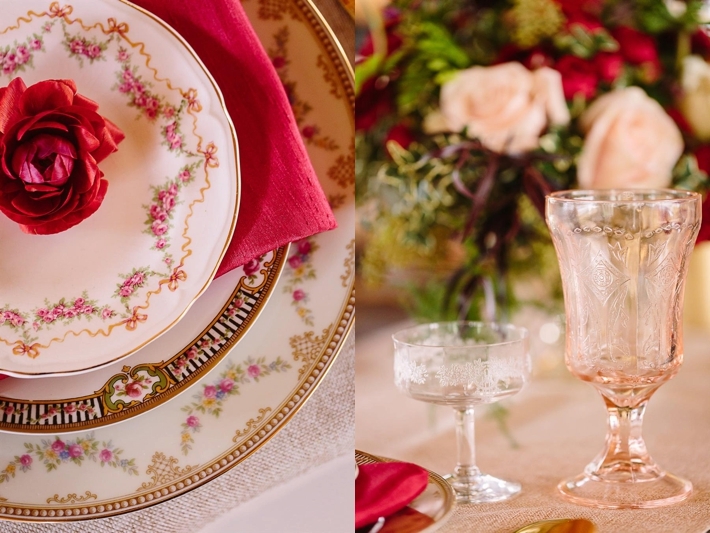 On the wide-planked wooden floors of the original homestead, the zinc farm table was set with vintage-patterned china and gold flatware, all topped with a single red ranunculus flower. 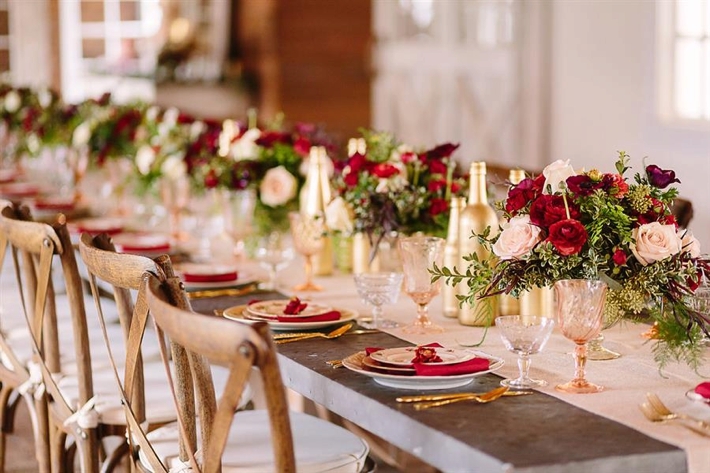 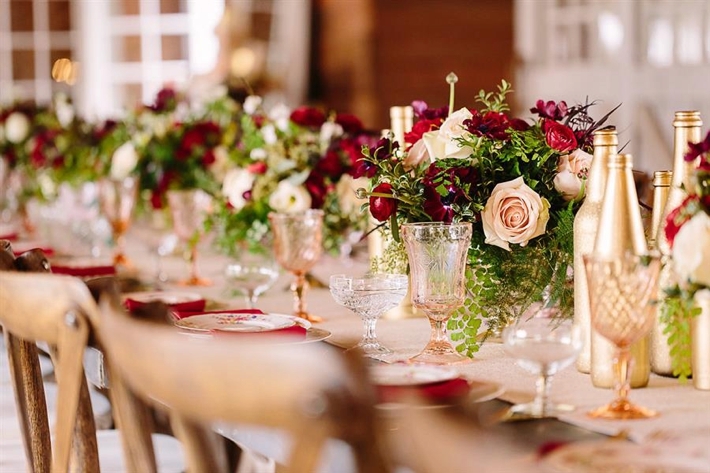 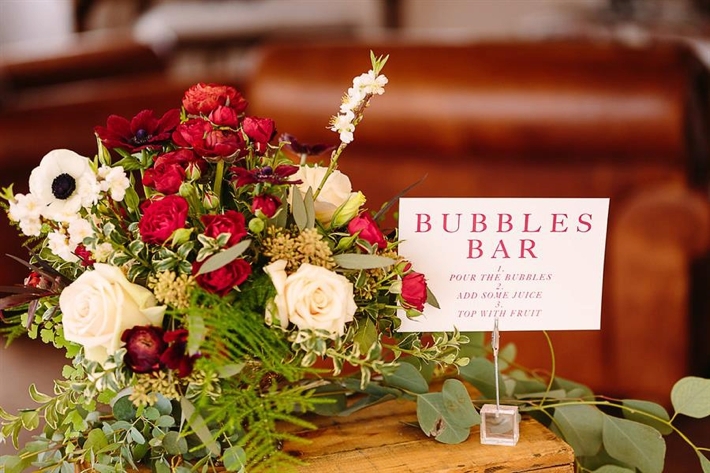 The color scheme was expanded with a sea of blush roses and pomegranate-colored poppies, both of which joined vibrant red ranunculus in gold vases on the table and throughout the house. 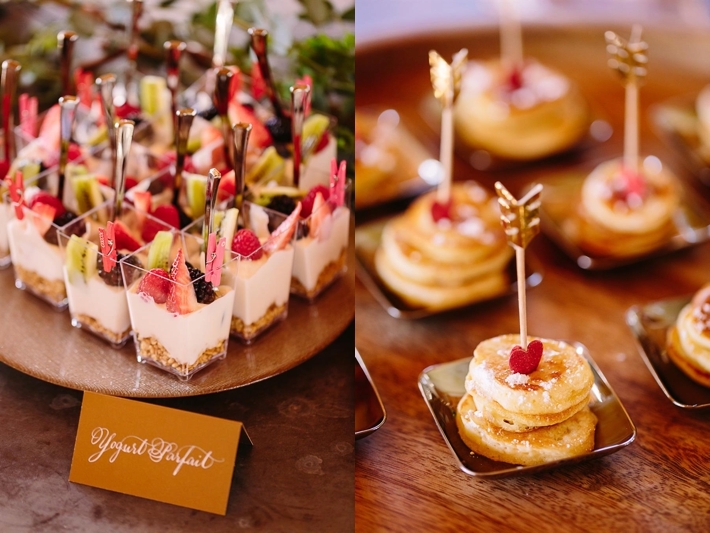 The stacks of delicious mini pancakes with a cupid bow perched on top playfully referenced Valentine's Day, while the menu also included an omelet bar and bite-sized brunch favorites, including yogurt parfaits with fresh berries. 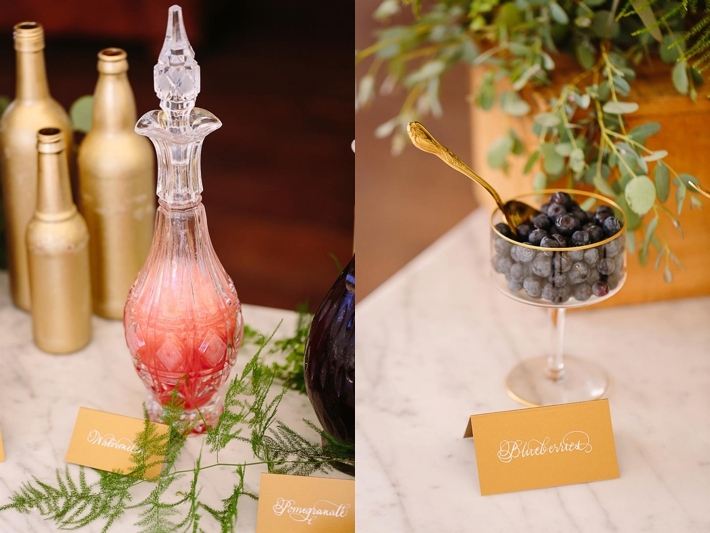 The drinks were equally creative, with a Bubbles Bar featuring watermelon mint lemonade served in genie-bottle-shaped crystal decanters and delicious champagne. 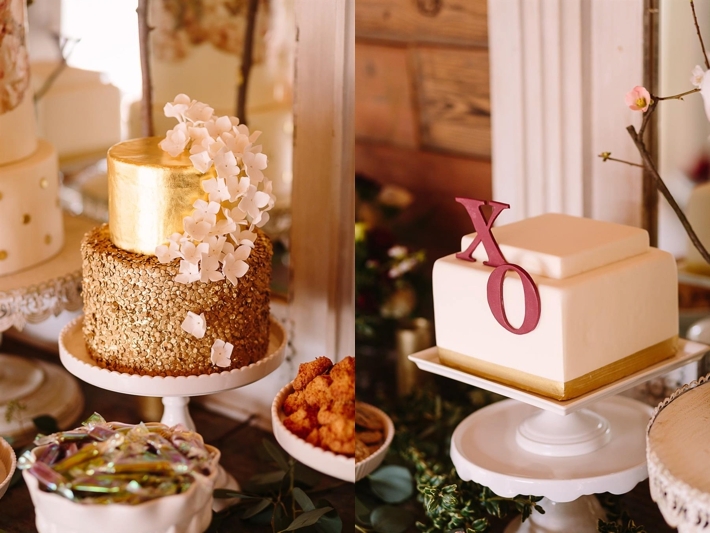 A glittery backdrop and fun props like smoochy lips and XOXO signs made for a perfect Valentine's Day-themed photo booth. 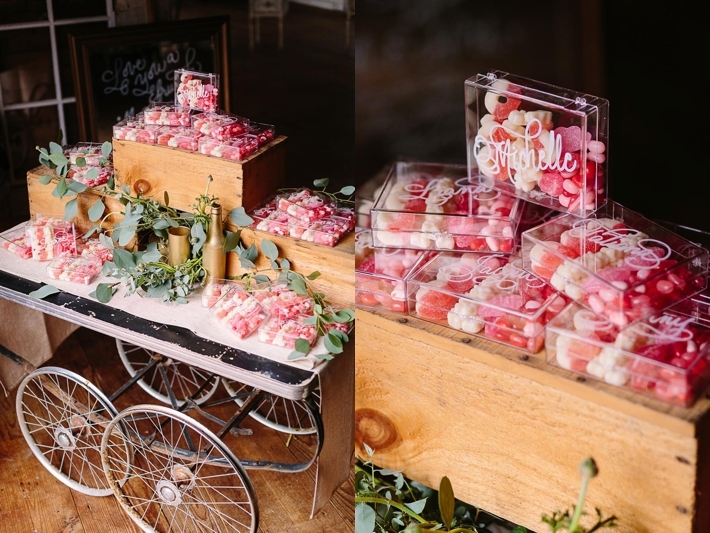 As no party is complete without a sweet send off, personalized acrylic boxes with Valentine's themed candies made for the perfect parting gift.